Beauty is in the eye of the beholder, they say. Although it’s undeniable that there are some things that are just a little more beautiful than others. One of these is the Chemex Pour Over coffee maker. Elegant glass curves, a polished wooden collar with matching leather tie, and that’s not even mentioning the quality of the coffee. We’re riding the crest of the Third Wave of coffee, an age where it seems every hip startup is offering their own attempt at making coffee. Despite this, the Chemex offers something that makes it stand out above the crowd as one of the leading Pour Overs of the time. 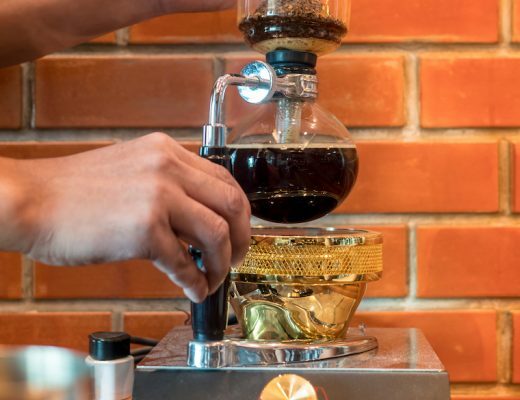 It touches the lighter, fruitier, more acidic notes wonderfully and is widely regarded as having some of the highest complexity that can be achieved with brewed coffee. It’s also a fantastic option for those who make coffee for more than one person. We’re talking sparkling notes of blueberry in your Ethiopian Harrar SO in a coffee maker big enough for five. Sound interesting? Well, read on! The Chemex is a type of Pour Over coffee maker. That means the ground coffee is placed into a paper filter and the hot water is poured over the coffee and passes through into the cup below. This method is called percolation – kinda like a drip coffee machine. It produces brewed coffee which gives you a standard cup rather than the short, sharp thrill of espresso. The thing that makes the Chemex really stand out is its filters. They’re proprietary and 20-30% thicker than your standard filters which give a slower brew and produce a richer cup. They’re the reason Chemex coffee is famous for its high complexity and dazzling acidity. On a personal note, this is my favorite Pour Over coffee maker. I find it gives a lovely smooth and bright taste, perfect for lighter and fruitier coffees. Despite the modern look and beautiful design of the Chemex, it has actually been around since the 1950s. Keen-eyed viewers may have even seen one in Don Draper’s kitchen in the television series Mad Men! In fact, the design of the Chemex is held in such esteem that a model is on display at the Musem of Modern Art in New York City! 1. Bonavita gooseneck kettle – A gooseneck really helps with getting a good extraction but you can use any kettle. 2. Feldgrind coffee grinder – This is a relatively expensive coffee grinder that knocks out a fantastic fine grind. You can check out a few of my recommended hand or automatic grinders here but fair warning, if you’re not willing to shell out $100+ then stick with preground for now. 3. Coffee beans – In a 1kg (2.2lbs) industrial sized Pat quantity. 5. 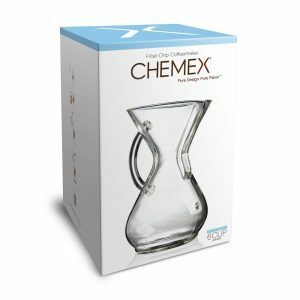 Chemex Coffee Maker – this is the 6-cup size which is good for 2-3 people at a time. 6. 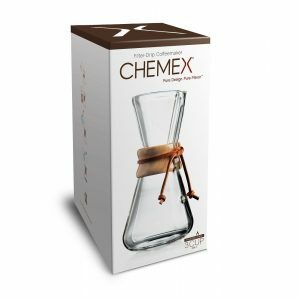 Chemex Unbleached Filters – this is one of those methods where it’s really important to get the proprietary filters. 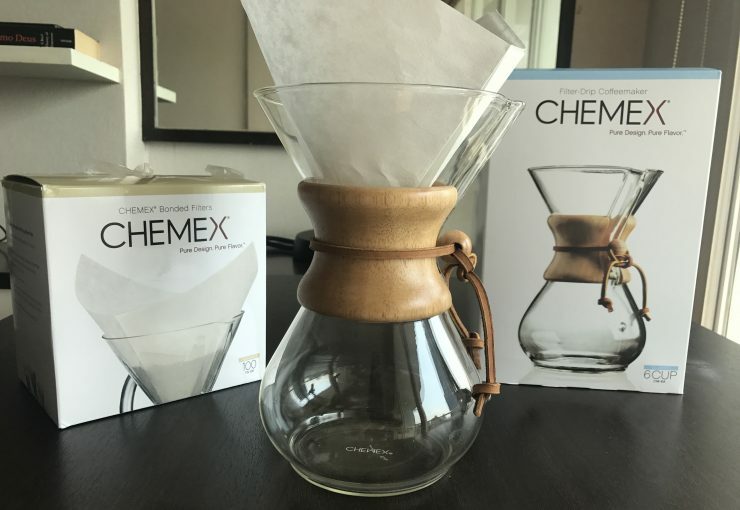 Not Chemex filters? Not Chemex coffee. 7. Kitchen scale – I use this one because I’ve owned it so long. It’s actually not ideal as it only measures to 1g whereas really you want 0.1g. You can check out some more here. I’m using a temperature kettle here but you don’t need to, although a gooseneck kettle will help because it’s a pour over method. In terms of temperature, aim for a little off the boil – straight boiling water may bring out a few unpleasant flavors – and try to keep it consistent each time. Grind is not shown here because I don’t have three hands – two for the grinder and one for the camera. I used a 3+5 on my Feldgrind, you can see here what that looks like in terms of size. Chemex is a slow pour over which is why I’m using such a coarse grind. There’s 36g of coffee here too, which with 600g of water gives me a strength ratio of about 1:17. 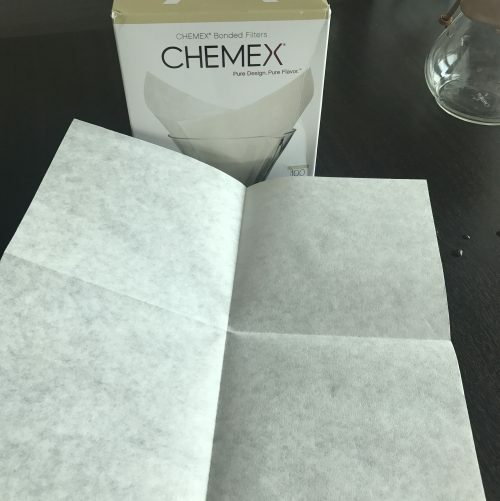 The filter comes in a square piece that you need to fold into the nice looking shape it becomes… I remember it taking me a few seconds to figure out the first time so thought I’d show you here. I am doing it with one hand of course, I’m not usually that clumsy! No explanation needed, I should think. 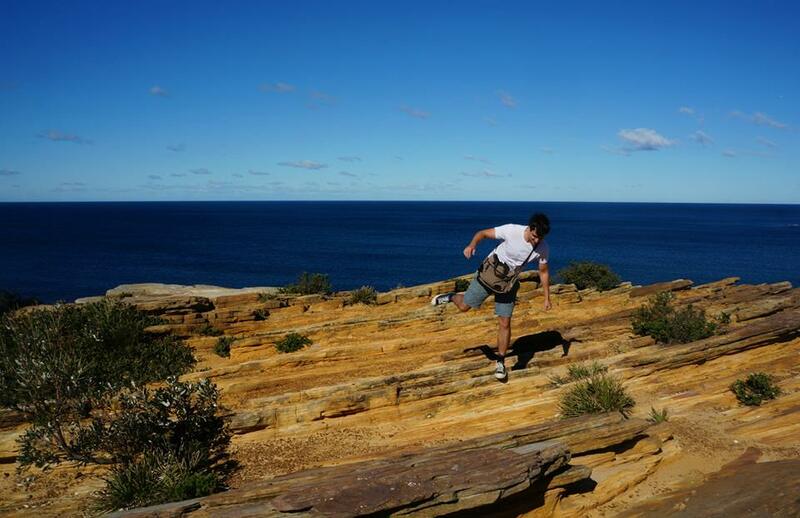 Just chuck it in. This step is known as ‘blooming’ or ‘degassing’ and the idea is to use a bit of water to saturate all the grounds and release all the CO2. I used about 100g of water to bloom 36g of coffee – about a 3:1 ratio – which is enough to cover all the water. Giving it a bit of a stir to saturate any remaining dry clumps helps. So I’ve already put in 100g for the bloom, I do 4 more batches of about 125g each to make it up to 600g total water. This is known as pulse pouring and is an alternative to continuous pouring where you slowly pour it over or even simply pouring it all in quickly at the start. You’ll notice I’m doing a counterclockwise spiral to saturate all the grounds, particularly the ones at the edges. It’s actually more beneficial to start in the center and move outwards to scrape … I had a bit of a brain fade on mine and started at the edge. Take your filter out and put it in the trash and you’re left with coffee. One of the great things about the Chemex is that once you’ve finished the brew you have a carafe ready to go! Pour your drink and enjoy the clarity and sweetness of the Chemex coffee! Again a reminder that 36g is a lot of coffee. This is suitable for two people or slowly consuming over a morning as I’m quite fond of, but then I don’t mind room temperature coffee! Whatever you choose – and 15-25g is a reasonable range for one person – just aim for a ratio of around 1:14 to 1:18. So 18g of coffee in a 1:15 ratio would require 270g water. This is why it’s useful to have a scale! The grind I am using is 3+5 on my Feldgrind. That’s pretty coarse, as you can see below. It’s got a pretty good grind consistency, at least good enough for the price point and I’m not ready to justify the thousands of $$$ it would take for a serious upgrade. 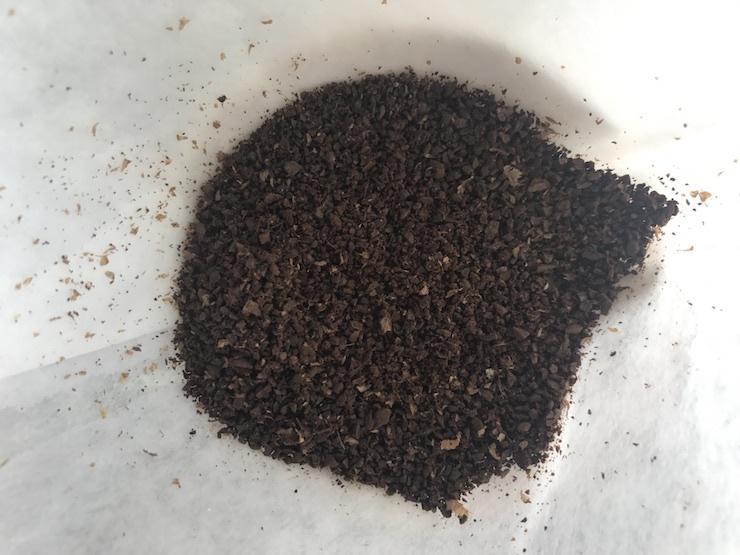 Another thing, brew time is out the window with pour over… soooo temperature and grind size become the only variables you can adjust to change the extraction if it’s too bitter or too acidic. As always, experimentation is the name of the day. It usually takes me 5-10 brews with a new method to get it from 7/10 coffee to 9/10 or 10/10 coffee. This processing of measuring and adjusting is called ‘dialing it in’ and is vital if you want to make top-tier coffee. It really is a gorgeous looking thing. Unique taste. The Chemex design and its thick proprietary filters have been vaunted as giving the highest complexity of any method of making coffee. In layman’s terms, those notes of blueberry from your Ethiopian SO are going to dazzle your tastebuds when brewed with one of these babies. Beautiful design. It looks good in photos and it’ll look pretty damn amazing sitting on your kitchen worktop. Next to a pretty little gooseneck kettle and coffee grinder, perhaps? Easy cleanup. Like all Pour Over coffee makers, the Chemex is super easy to clean. Throw away the filter, give it a soapy rinse and you’re done. One point you might have noticed already is that it’s pretty much impossible to get your hand to the bottom of the carafe. If you don’t like the idea of not giving it a scrub, you can use a baby bottle cleaner or an official Chemex scrubber. Yea, it exists. Made in the USA. 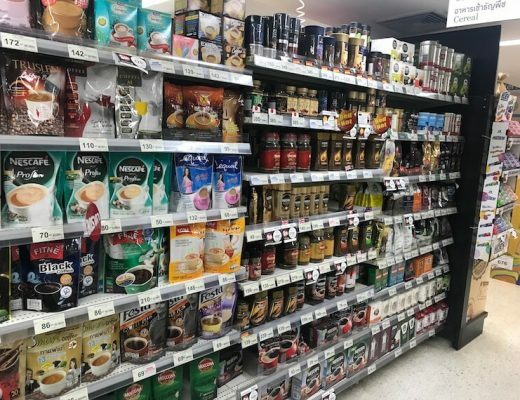 Yup, you can brew your coffee with the star spangled banner proudly playing in the background, if that’s what you’re into. The Chemex is manufactured down in Chicopee, MA. Cost compared to other Pour Overs. All that good stuff comes with a cost, unfortunately. In terms of manual coffee brewers, this one’s on the pricey side. It’s still well below what you’d be paying for an automatic drip machine, however. Have to buy filters online. The Chemex uses its own branded signature filters that produce the Chemex signature taste. 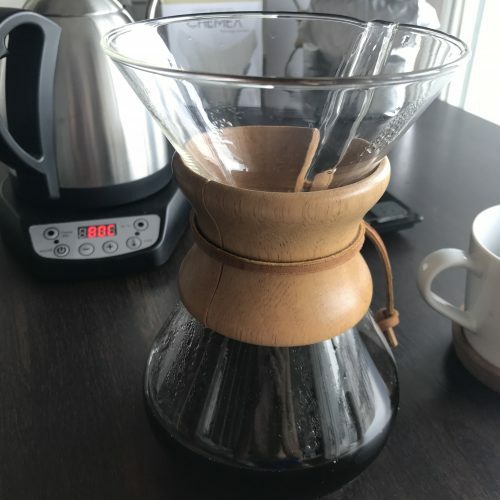 Don’t use Chemex filters? Don’t get Chemex coffee. 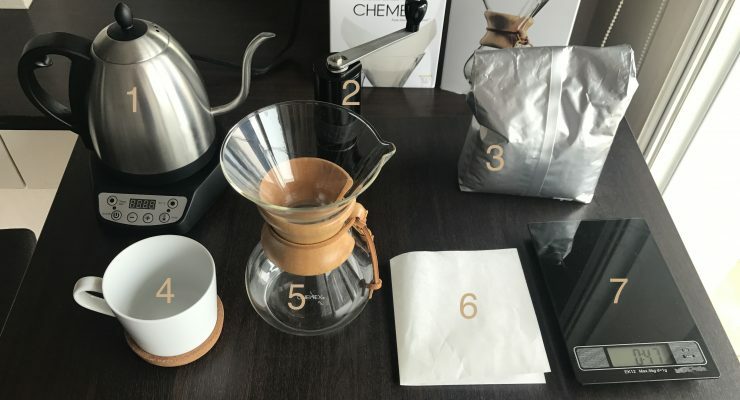 You can buy #4 filters or even a stainless steel reusable mesh filter if you want but it will not be the actual Chemex taste and you’re better off getting a cheaper Pour Over. Fragile. 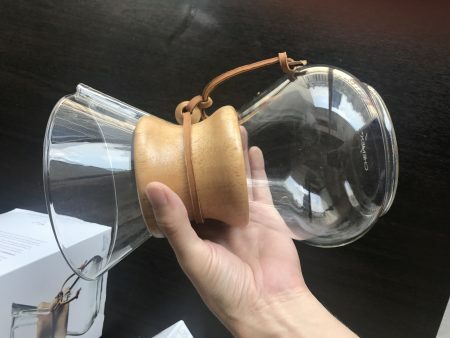 The Chemex is made of strong borosilicate glass which protects it from bumps and scrapes, but if you drop this on a hard floor then it’ll probably crack. Exercise some caution, I suggest. What Does Chemex Coffee Taste Like? The Chemex coffee maker is known for producing a very bright coffee. In layman’s terms, you’re getting coffee that will highlight the lighter and more acidic notes. For example, bright coffee really enhances the lemony notes of the famous Ethiopian Yirgacheffe. It also is a fantastic method for flavor clarity or complexity, possibly even the best. The filters trap a lot of the thicker coffee oils and micro-particulates that make the coffee richer but also muddier. This lets the flavor be tasted more easily which is what people mean when they talk about coffee having high clarity or complexity. PAIR WITH: Anything with fruity, berry notes really shines with Chemex – so generally African or Central American beans. My local roaster does a Kenyan Kimandi that is to die for. You haven’t lived until you’ve had coffee tasting of licorice and blackberries! I love my Chemex. I like the wonderfully acidic taste I get and I like how easy it is to clean. It’s my goto weekend morning brew when my gf stays over. The alarm goes on a Sunday morning and I wake up with a big smile on my face knowing the treat that I’m going to start the day with. I also like it for trying out new coffee beans. Its clean taste is wonderful for really getting to know a coffee I’ve never tried before. As such, I’m a regular user. Downsides? It requires more time than other coffee makers. It’s nice when it’s a weekend and you can be relaxed and do your brew while making some breakfast but I’ll usually opt for something quicker/less demanding on those early weekdays before work. Should I Get A Chemex? … its signature bright and fruity taste. … the simply gorgeous design. … it’s a great Pour Over for making coffee for multiple people. … you’re looking for something cheap. … having a fragile coffee maker is not a good idea. 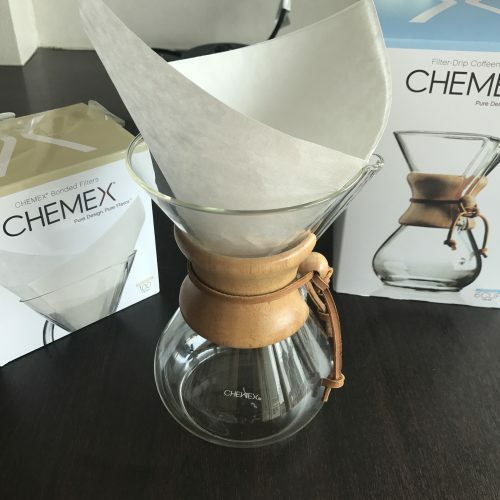 The Chemex is popular enough that it’s pretty easily available on Amazon here if you wanna check it out. 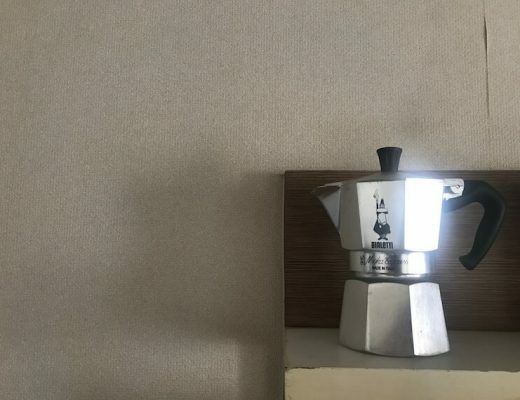 That link is for the 8-cup model which gives you 2-3 cups of coffee, the one I own and have been using in photos here is the 6-cup model which is perfect for 2 cups. 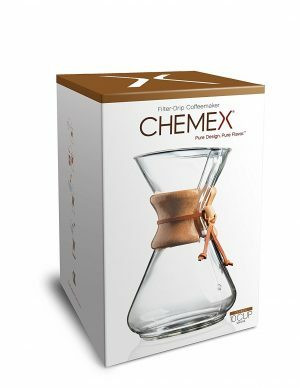 Chemex (the company) produce three different products that go under the name of the Chemex coffee maker. All will make identical coffee, the same trademark Chemex taste. Click the gold link for each to be taken to the Amazon page. This is the one I own, that uses a very beautiful wooden collar and leather tie for you to grip while you pour or the newer version which has a glass handle built onto the side. It’s the most common design and the one I’d recommend you get if you don’t have any strong preference. This Chemex uses a glass handle that is built onto the side so it’s easier to hold. I’ve never used one but I’ve heard they are more practical at the expense of losing a little in the way of aesthetics. Chemex Hand Blown Coffee Maker. This is the original 1950s model. It’s a lot more expensive and uses thicker glass and, as the name implies, is handblown. One for the purists. The ‘Classic’ Chemex is available in loads of different colors – that is, the color of the leather tie. Here’s a few examples. The ‘with Handle’ version has no other options. Both version, ‘Classic’ and ‘with Handle’ have four sizes. They are available in 3-cup (16oz/0.5l), 6-cup (30 oz/0.9l), 8-cup (40 oz/1.2l), and 10-cup (50oz/1.5l). 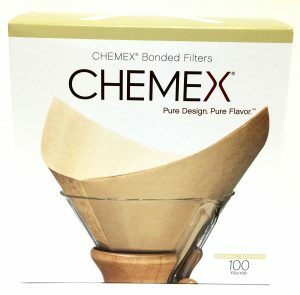 Unbleached (Natural) Chemex filters. These brown colored filters are known to cause a slight papery taste in the coffee you produce. This can be lessened by thoroughly prewetting the filter before brewing but it is still often noticeable. I don’t recommend buying these. 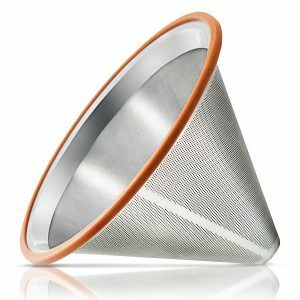 Stainless steel mesh reusable filter. A reusable filter like this saves you a lot of hassle in terms of cost and having to buy extra filters. However, it will not give you the real Chemex taste. Still good, but it will taste thicker and more full-bodied like a French Press and will also allow a little sediment into your cup. #4 Filters / other paper and non-Chemex filters. You can uses other paper filters with the Chemex but, again, it won’t be the proper Chemex taste. 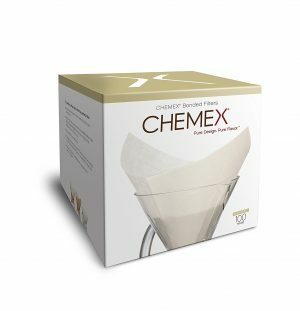 If you want cheaper filters then maybe a cheaper Pour Over would be more suitable. I noticed a couple design variations on the Chemex makers at the store. The differences related to spout design, a seam down the middle, whether the logo was stamped in the bottom or the name printed on the bottom, and a few other slight variations. Any idea which is the original? Different methods or production locations? The version with stamped logo in the bottom has the seam and a spout which is more round than rectangular and slightly pinched at the top. Well Tom, I’ve never seen nor heard of a counterfeit Chemex. So providing you didn’t find it down a dingy back alley somewhere in China then you’re probably good to go! And to be honest… the filters contribute far more to the unique taste than the decanter.